Approaching a business-to-business event with a consumer-style experience helped Kodak turn its fortunes around. The brand’s biggest marketing investment at trade festival Drupa in 2016 celebrated all the different print products that Kodak provides the tools for. The activation, created by Jack Morton Worldwide, included newsstands, cafés, a mini-mart, and a gallery. 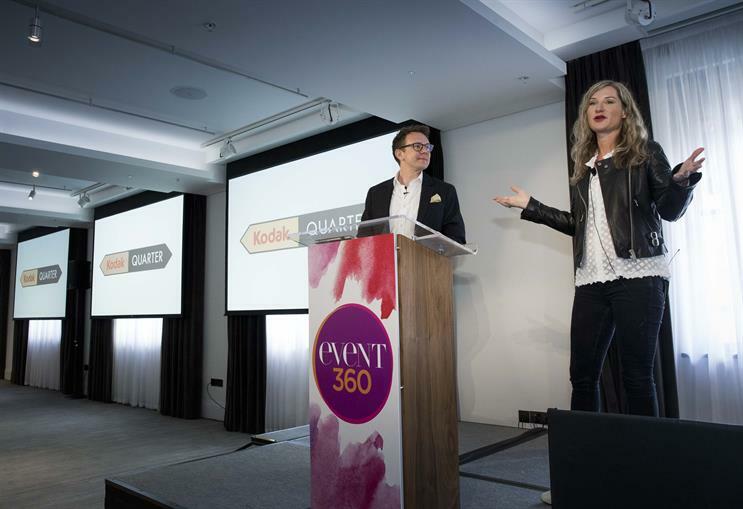 Danielle Atkins, vice-president for brand and marketing at Kodak, told the Event360 forum yesterday: "Our brief was to show to the world that Kodak was back. We wanted to generate awareness because there was a lot of negativity in the industry around the fact that Kodak had been in Chapter 11 [bankruptcy]. "The other thing we wanted to do was generate brand advocacy to really bring people back into the brand feel energy around this once amazing brand. Then, as it’s a sales show, it was about generating a significant amount of sales given the large investment. "My personal belief is that B2B is a really outdated concept so for me everyone is a consumer so we really treated this like a consumer experience rather than a very dry corporate experience." Atkins, who was previously at Beats by Dre, added that selling the idea to Kodak was particularly hard, especially as many of the people who worked there had been at the company for many years. The Kodak Quarter helped the brand’s Print Services arm achieve a sales target of 187%. The activation also won Best Brand Experience – B2B at last year’s Event Awards.